Tom qualified with a first-class honours degree from Nottingham University Medical School in 1998. After basic surgical training he undertook a period of research focusing on the molecular basis of prostate cancer, leading to the award of a Doctor of Medicine. His urology training was undertaken in the Trent region, during which time he spent a dedicated fellowship year training in laparoscopic surgery. In 2010, he was awarded the Keith Yeates Gold Medal by the Royal College of Surgeons for outstanding performance in the FRCS (Urol) examinations. Following completion of surgical training, Tom spent a further year training in Laparoscopic and Robotic Urology in Melbourne, Australia. Currently a Consultant Urological Surgeon at Nottingham City Hospital, with a specialist interest in minimally invasive surgery, prostate and renal cancer, and all aspects of general urology. 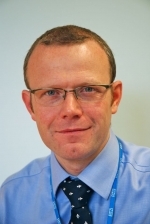 He is the lead cancer clinician for the Urology Department and in 2013 was responsible for establishing the first robotic surgery centre in the East Midlands. He has proven expertise in robotic surgery for prostatic and renal cancer, and is an external Robotic Trainer/Mentor for other surgeons. Tom is also a reviewer for the Journal of Urology and European Urology, and has published extensively in the field of urological cancer. Tom sees and treats both NHS and private patients at the Nottingham NHS Treatment Centre.